If you’re searching for a highly affordable and reliable gas torch to undertake smaller projects, then JJ Roofing has the solution for you. The Ideal Small Gas Torch is an incredibly versatile tool that has been specifically designed to tackle all manner of roofing projects. Featuring a burner nozzle, hose and regulator; you’ll have everything you need to get those odd little tasks finished quickly. The Ideal Small Gas Torch comes with a small hose and regulator and a 45mm burner that’ll make quick work of most torch-on roofing systems. The neck measures around 150mm and the hose measures in at 10m in length. This makes this burner particularly handy when used in confined quarters and ensures that you’ll be able to reach every nook and cranny. In terms of weight, the Ideal Small Gas Torch weighs just 5kg. This makes it highly portable and easy to carry and use while working at any heights. It also ensures that no unnecessary strain is placed onto the roofing system avoiding any damage that might otherwise occur. To make handling the burner easy and comfortable, a contoured handle has been included with a grooved grip design and conveniently placed trigger. The trigger provides the user with complete control over the burner, and the burner can be operated in either short, controlled bursts or continuous bursts as required. A steady fuel supply is assured by a secured attachment at the bottle end of the hose. 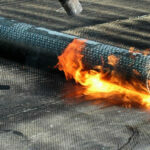 This also prevents any gas leaking out which could be an explosive hazard if it should occur. All in all, these features serve to enhance the overall efficiency of the Small Gas Torch. Here at JJ Roofing, we only stock the very best products from the industry’s best-known brands. You can be certain that when you purchase a small gas torch from us, it’ll provide you with many years of reliable service. To place your order today, simply add the item to your basket and proceed to the checkout. All prices are displayed inclusive, and exclusive of VAT and we can provide an estimated delivery time of just 1-2 working days. assignmentHow to buy and use a gas torch for roofing.